Southgate provides a range of competitive finance solutions that can be tailored to meet your individual needs and help you purchase or lease your preferred marine craft (new or used). Whether the marine craft is for recreational or commercial purposes, Southgate can find the right finance solution for you. Southgate Financial Services can assist you in finding the most suitable boat finance option for your specific needs and budget. We consider a number of factors, including who is taking out the finance (an individual, company, partnership or sole trader), any business use of the boat, and your ownership preferences at the end of the finance term. To speak with one of our Finance Consultants (obligation-free) simply call 1300 132 700 or enquire online. 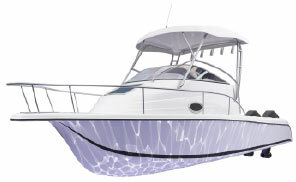 We will assist you to choose the most suitable boat finance solution for your situation and provide a free quotation.